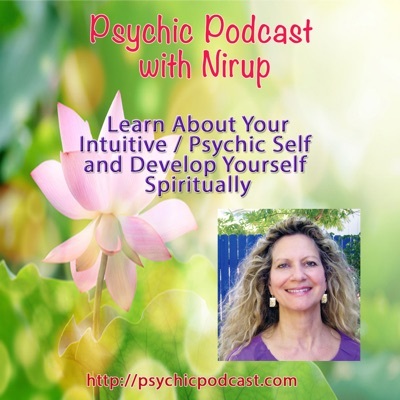 Psychic Medium – clairvoyant psychics, readings from clairvoyant psychics. 30 min. $65. — 45 min. $99. — 60 min. $132. People ask me are you like John Edward, and the answer is basically yes. As a psychic medium I can get in touch with loved ones on the other side. Like John Edward I never know what will come through, but I do present it just as it comes through me. It may be important for people to bring resolution and closure with departed loved ones. Those that do can gain a healing of the heart and peace of mind. There is a mystery all around us and a part of this mystery is our connection to much more than we see and normally experience. Those who have crossed over want to connect and answer the questions we may have of them. They want us to know that they are safe and in a good place. However, it is best not to have expectations when having a session. We need to come with an open heart and mind so we can receive what they wish to express or to resolve. You just never know what will come through. Karen came to see me for a crossing over reading with a question regarding her son. I immediately tuned in and saw he died in a car crash, I told her alcohol was involved, they had been drinking, and they went off the road. She said yes this was true, but did not know why they went off the road, I told her I saw a deer run in front of the car and they swerved off the road to avoid it. Her son David came through to me say to his mother he was ok, in a wonderful place, feeling at peace, and at the time of his death it was so quick he felt no pain. Another message came through from David, a special message to tell his mother to let go of blame and anger of holding another responsible for her sons death. Then I saw another boy standing beside him, his friend who was the driver of the car, he had also died, and I asked Karen if this was true and she said yes and his name was Gary. I said to Karen, I see your son died at the site of the accident, while the other died hooked up to a respirator, she said yes, this was true and it was in the ambulance on the way to the hospital. I then told her the boy Gary who was driving the car was coming through to tell me how he was doing and wanted us to pass onto his mother that he loved her and that he was okay on the other side. I asked Karen would you do this for him, it was at that point she said she would not see the mother of the boy, and hadn’t since the accident, and felt to much anger and blame to connect with her. I explained to her that for a spirit to come though to us is an effort on their part and a gift to us and we need to honor that, as I did her sons wishes. I asked her to think about it, to let Gary’s mother know he was OK. I hope she found it in her heart to do so. In a session it can be we are asking for a specific person to come through, but another soul or even a number of souls may want to connect. We need to respect the process and allow the information to come as it comes. We are here on this earth plane and they are there, on the other side, and that brings different vibrations of energy between us. This is not as easy as some people think, it is not like talking on the phone. As a medium I need to adjust my vibrations and connect to both realms at the same time and to allow whatever impressions there are to be brought forth. This is like tuning into a different radio frequency, to another station. Their impressions from the other side may manifest through words, emotions, sounds, smells, pictures or just a general sense of things to me and I pass onto you their wishes. The whole process is helped if we receive the information in a climate of openness and gratitude. I had an older gentleman named Roger, come to see me. He wanted me to get in touch with his deceased wife, Carolyn. Thirteen years had gone by and he kept on thinking that his feelings would go away about the death of his wife and he would be able to move on in life, but they never did. He felt a deep sadness. I tuned into first Roger, and then to his wife, I had seen that she was very ill and suffering at the end of her life. Roger said yes that was true and he had a lot of quilt around having to make a decision to cut her off from life support, but didn’t want her to suffer anymore. I tuned back into his wife Carolyn and she said she was ready to move on and was happy and grateful to Roger that he made the decision to let her go and to not feel guilty at all. She was now in a much better place free from pain. I could see her spirit was very light and there was a feeling of peace within her spirit. When I told Roger what his wife was expressing to me he started crying, he felt so relieved of his guilt. He then wanted to know what he should do about his new relationship, was it okay to have one. He had met women named June two years earlier, who he fell in love with, but felt guilty about it, and June had been waiting Roger to marry her. I then took Roger into a special process, of helping him directly connect to his wife’s spirit, and ask questions, which allowed him to see that she had never been unhappy with his decisions at the time of her passing away, and that she was perfectly fine that he had a new relationship in his life which was bringing him happiness. This led Roger to a new place within his own heart to let go of all the guilt and worry that he had been carrying for so many years. He thanked me and could hardly believe at all the changes that were brought forth from the one session. He said he was now ready to move forward with his new relationship. This man had now found peace within to live out the rest of his life in happiness.